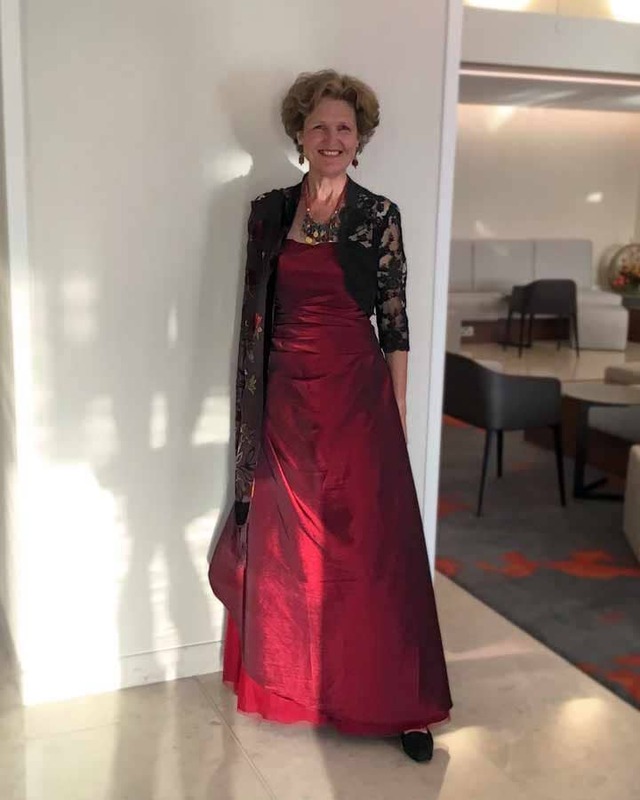 Our client wore this garnet taffeta ball gown for Highland Ball ‘The Last Hurrah’, the latest destination of a decade-long series of Highland Balls which began in Vienna in 2008. 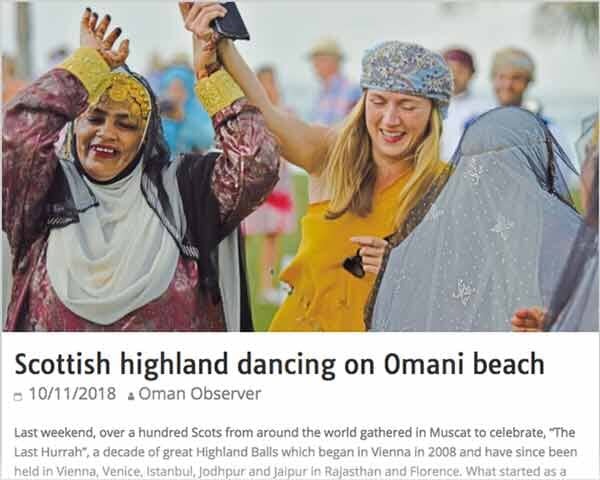 A mashup of Highland society gatherings, like The Northern Meeting or The Argyllshire Gathering, and 5-star international destinations, Scots in Oman had them all reeling the night away in the desert. To cope with the cold nights, she paired the gown with her own bolero and had a pashmina to hand.